﻿ Elvira Suites, Granada | FROM $104 - SAVE ON AGODA! "Clean, well located, quiet in the old city." Have a question for Elvira Suites? 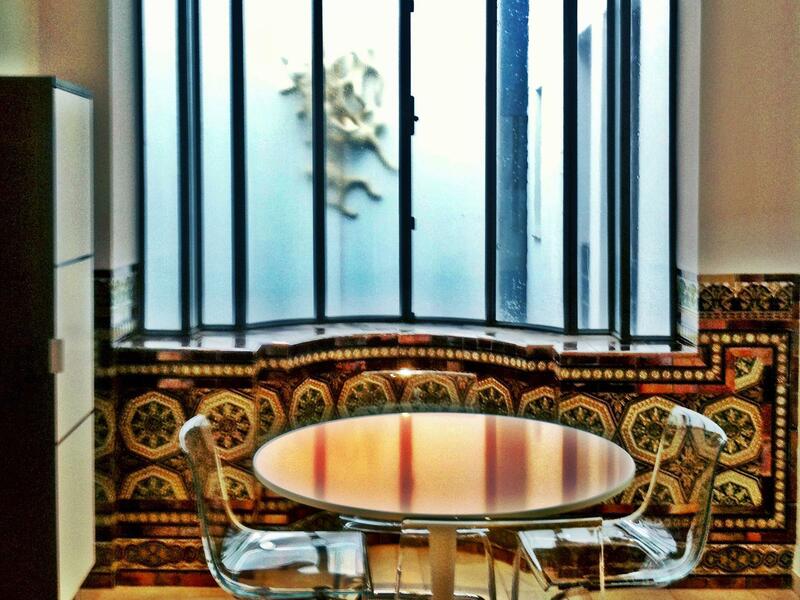 Nestled in the heart of City Center, Elvira Suites is an ideal spot from which to discover Granada. The excitement of the city center is only 0.3 Km away. Visitors to the hotel can take pleasure in touring the city's top attractions: Passport Granada, Mercado San Agustin, Alquimia Pervane. 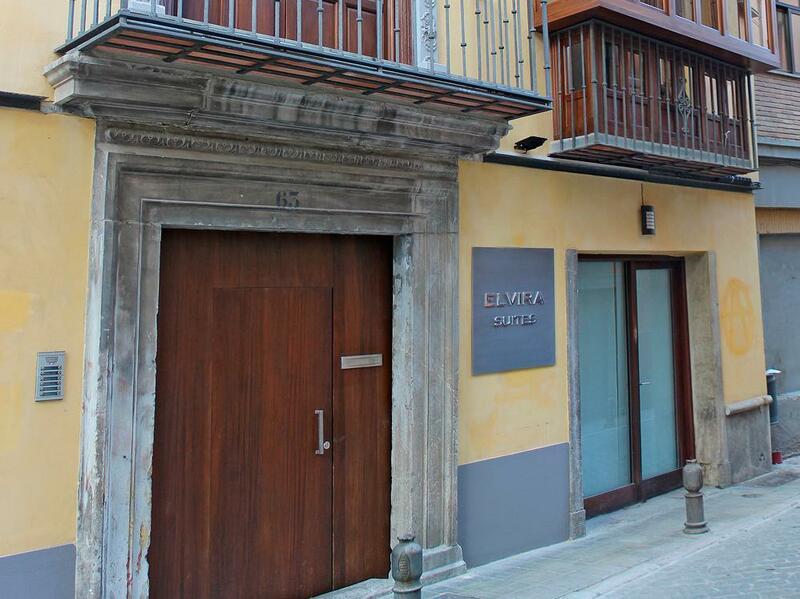 Elvira Suites also offers many facilities to enrich your stay in Granada. To name a few of the hotel's facilities, there are facilities for disabled guests, luggage storage, Wi-Fi in public areas, valet parking, car park. Hotel accommodations have been carefully appointed to the highest degree of comfort and convenience. In some of the rooms, guests can find television LCD/plasma screen, internet access – wireless (complimentary), non smoking rooms, air conditioning, heating. The hotel offers an excellent variety of recreational facilities, including solarium. 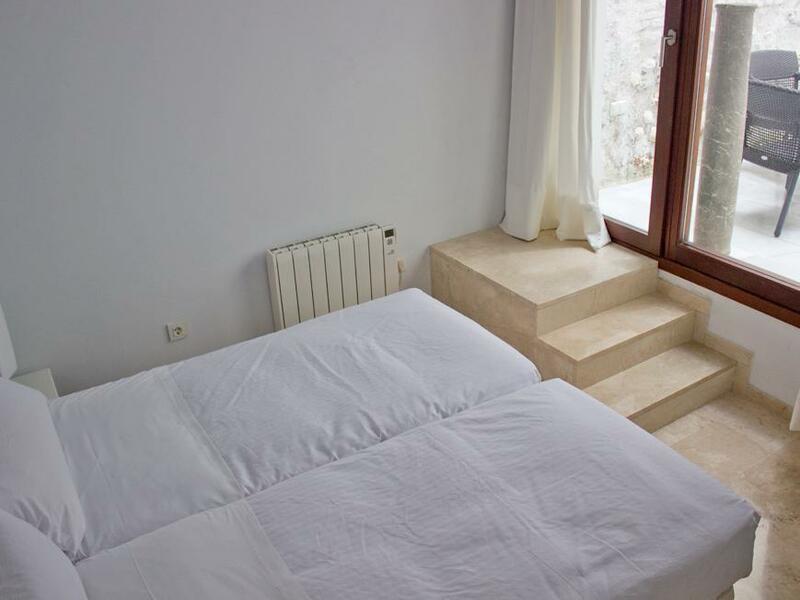 Elvira Suites is a smart choice for travelers to Granada, offering a relaxed and hassle-free stay every time. A modern suite with a full kitchen. 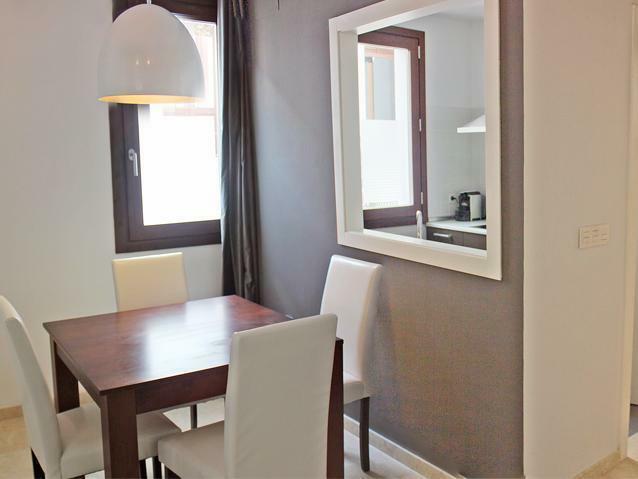 Clean, well located, quiet in the old city. Staff were especially helpful spending time helping us get Alhambra tickets. We would stay here again and would recommend it to friends. nice and cozy 2-floor apartment. Complimentary wine is also impressive. I stayed there with my mom and my boyfriend. The location is very good, not too far for a 63 years old lady to walk to the main street. There are grocery stores and restaurants around the place, so it is easy to find something to eat cuz the suite is not include breakfast. They provided kitchen with microwave ovens and electric stoves. But you have to wash the dishes and other kitchenettes yourself, no housekeeper. Cleaning should be offered if staying more than 2 nights. The place is in walkable range to the Alhambra (Justice gate) if you buy the ticket and get it in advance from the Alhambra shop in town, you don't have to go another way to the main entrance. 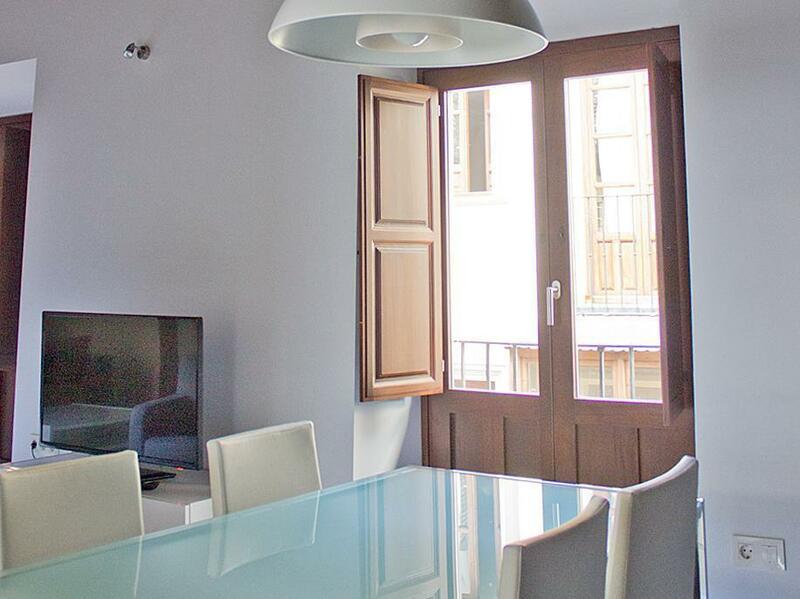 The Elvira Suites were a great location for accessing many of the major attractions in Granada. And the staff, especially Christina, were so helpful. I would recommend this hotel as a great base from which to see Granada. Excellent all around. Beautiful room, Huge size and comfortable. La plus grande chambre et le plus impressionnant appart que l'on ait loué de notre vie! 3 balcons!!! Planchers de marbre, plafonds comme à l'Alembra. Dînette vraiment spéciale. L'appart donne sur la rue. Attendez-vous à un peu de bruit mais lorsque vous êtes dans cet appart, vous oubliez tout. modernité et déco de l appartement, taille des pièces. 직원 친절함. 위치 좋음. 시설 좋음. 커피포트 위생상태 약간 아쉬움. 거리가 유명한 타파코 거리이다 보니 새벽까지 시끄러움, 차도와 건물사이가 사람하나 서있을 정도이다 보니 차가 지나갈때마다 시끄러우며, 술마시며 노래부르고 지나가는 행인들이 시끄러워 잠을 못잤음. 방의 위치를 변경해 줄것을 요구하였지만, 모든객실이 전반적으로 시끄러워보임. 단 시끄러운 것과 관계없다면 방은 가격에 비해 넓고 좋았으며 엘리베이터가 없어 걸어서 3층 객실을 이용하여야했음. 커피머신과 전자렌지 주방기기를 잘 갖추고 있으며 쇼파를 추가 침대로 이용할 수 있는 넓은 객실과 무료 와이파이 안락한 안방이 있었음. 직원들은 친절하였으나 24시간 상주해있지는 않고 체크인 시에만 만날 수 있음. 위치는 유명한 타파코 거리에 위치하였으며, 매우 마음에 들었음.